From the beginning of time, people have been searching for paradise. When we look at the Scriptures, we understand why — people once lived there. In the Garden of Eden, Adam and Eve lived in a paradise created for them by God. However, they sinned, and were kicked out of paradise . . . yet the echo of this environment still sounds inside our souls. Religious leaders arrange morals and standards to point the path to paradise. Explorers sailed to distant worlds in pursuit of the city of gold. Authors and film makers write stories about looking for the fountain of youth. Scientists and doctors seek discoveries to allow us to live longer, look younger, and experience life better than we have it now. Across multiple disciplines, humanity seems on a quest to El Dorado. Wouldn’t it be great if we could just stop and ask the Creator of the world how we can get back to the paradise lost? Wouldn’t it be wonderful if someone DID ask the Creator of the world the path to eternal life, and the Creator’s response was recorded for us to read? That response was recorded for us in the New Testament so we can read it today. 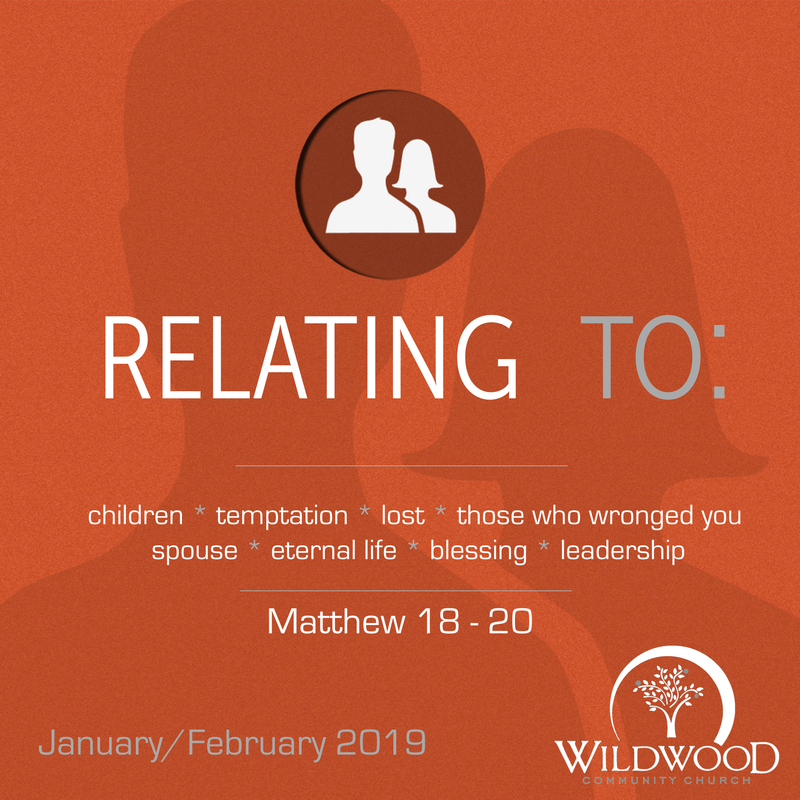 This Sunday at Wildwood Community Church, we will be looking at Matthew 19:16-30 together at how Jesus answers the question about how we can relate to eternal life. Hope to see you Sunday as we look at this great passage of Scripture together.